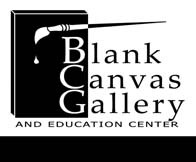 Blank Canvas Gallery and Education Center in Park Rapids, a Minnesota nonprofit art organization, is offering a workshop to learn about silk painting techniques with noted Minnesota artist Jo Hill on June 15th & 16th. Class time each day will be 9 a.m. to 4 p.m. at Jo Hill’s studio, 15391 Cranberry Drive, Park Rapids. Hill has long time experience in silk painting and other textile art forms and is always willing to share her knowledge with others who want to learn about textile art and silk painting. a) Explore several techniques of silk dye application. b) Learn to control the dye on a project. c) Plan and execute samples exploring color, color mixing and shading. d) Be instructed in the various steps taken in creating a silk scarf painting (students may return individually to create a scarf at no additional cost). Class size is limited – Registration deadline is June 10th. Blank Canvas Gallery and Education Center, a Minnesota nonprofit art organization in Park Rapids, is offering an introductory wood carving workshop with Richard Vandever on June 20, 21 & 22, 2011 from 9 a.m. to 4 p.m. at Northwoods Bank, 1200 East First Street, Park Rapids, MN 56467.
a) Understand and apply basic wood carving skills. b) Understand and practice safety with carving tools. c) Learn how to sharpen carving tools. d) Design and carve a 2 dimensional crappie.